The Dean of Students Office and Leverett House administrators are investigating “deeply disturbing and offensive images” that were found drawn on a whiteboard in McKinlock Hall. The drawings included racist comments as well as depictions of two faces, one of which was labeled “Black” and the other of which was labeled “Other blacks, Mexicans, Muslims, Jews.” They also included terms such as “caravan,” “globalists,” and “Soros” — a reference to billionaire George Soros, who has recently been the object of a far-right conspiracy theory alleging that he funded the caravan of Central Americans immigrants heading towards the United States. We unequivocally condemn the drawings and comments made on the Leverett white board. They are clear examples of racist and hateful speech that should not occur on this campus. Furthermore, we admonish the individuals responsible for these drawings who acted with horrifying disregard for their peers. In response to the Leverett drawings, House staff brought the matter to the attention of HUPD and offered support to the residents of Leverett House. We applaud this, and we call on Leverett and other House administrators to continue offering support to students in this and other incidents of blatant hate speech on campus. Furthermore, we expect that HUPD will investigate this incident thoroughly and finish its investigation promptly. Yet, these drawings and their consequences cannot be considered in isolation. The drawings in Leverett seem to be part of a pattern plaguing university campuses. 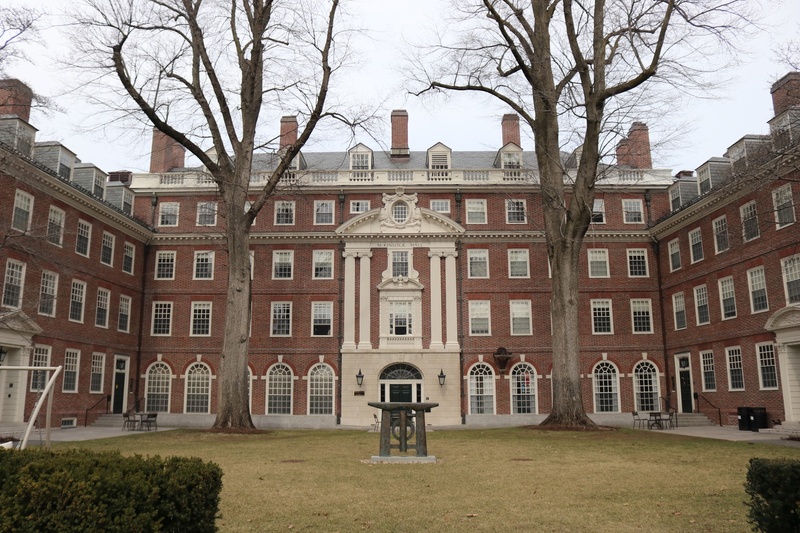 In 2015, pieces of black tape were placed over the portraits of black professors at Harvard Law School in an act of vandalism that the Harvard University Police Department investigated as a hate crime. Recently, at Yale, flyers appeared with a symbol for a “White Student’s [sic] Union of Yale”; they also quoted slavery advocate John Calhoun when he said “In looking back, I see nothing to regret, and little to correct.” Last month, some Dartmouth students found racial slurs written on their doors. The prevalence of these acts demonstrates an underlying problem that must be addressed. Harvard students must work to identify the aspects of our culture that allow such acts to occur and collectively work to correct and overcome them. In particular, Harvard students and University administrators should work towards achieving a campus-wide understanding of how such comments may affect students on campus, particularly those from marginalized groups. Simultaneously, students must work to prevent such behavior from arising in the future. Racism and hate speech have no place on this campus. It’s time for Harvard students and administration to take action to show that.